So this guy, former Vice President Al Gore, has somehow found the audacity to say that God commands us to go forth and fight global warming. He has a new film coming out…so of course he’s going to use some of his crazy to promote it. In his comments, Gore equated the fight against global warming to a religious-based, moral crusade similar to the civil rights fight, women’s suffrage, and the abolitionist movement during the Civil War era. 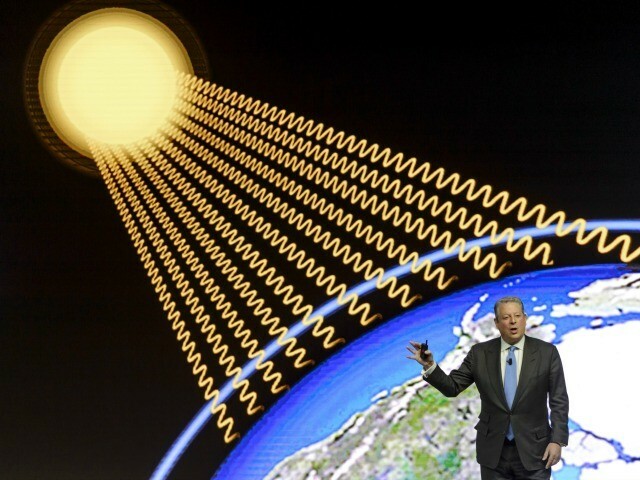 Gore insisted that it is a moral imperative to fight against climate change. Then of course Gore then rejects that conceit. Really Gore? If he really “believed” ANY of his own nonsense, he wouldn’t be dumping 10 times the amount of “global warming pollution” into the atmosphere as any normal American. He probably believes he is special and buying “indulgences” in the form of carbon credits is going to get him off the hook. Gore’s new film is a sequel to his famed “An Inconvenient Truth,” a shockumentary filled with mistaken assertions and failed predictions. Despite the many inaccuracies of his previous film, in an interview last year Gore still insisted that he “underestimated” how bad global warming is. “I wish the film had over-estimated the seriousness of the crisis, but unfortunately it actually underestimated how serious it is,” the one-time Tennessee Senator said. Seeing that Gore wants to do as “GOD” demands, he should also sell all of his possessions, give all of the proceeds to the poor and follow Christ. Why do I bring these up, well it turns out that Gore’s supposed “obedience to GOD regarding global warming” is going to make him a GAZILLIONAIRE in the long run, but at least a BILLIONAIRE almost immediately. Can anyone but me see the CONTRADICTION in this? Gore reckons there is money to be made out of the scam. The shyster sees a pot of gold in everything. I wonder how much loot he expects to make from movies? Another Lear jet perhaps? After all, they do cost a lot in fuel to run. Al’s ‘Global Warming/Climate Change/Climate Disruption movement is its own religion. Anyone who challenges the pseudo-science with REAL science is shouted down and demonized. That is not how real science works.